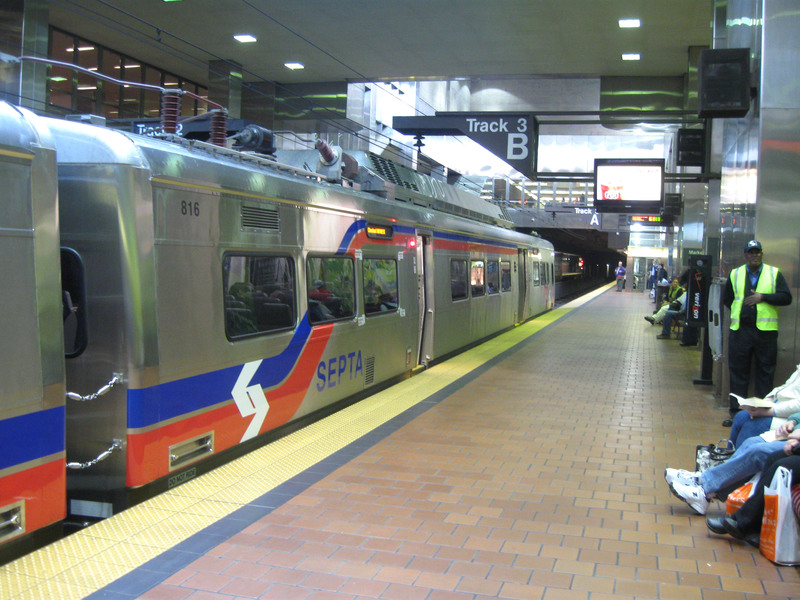 On Friday the 13th, the second day of the RCC convention, we took the train into Philadelphia from the Airport Marriott. After eating lunch at a rather crowded food court, we met at the National Constitution Center. Unfortunately, we only had 45 minutes to an hour to tour the museum before the special museum program began. I would like to return with Cyndy, if not the rest of the family, to have time to explore the museums and sites of Philadelphia. Much has changed since traveling there with my family when I was a teenager. 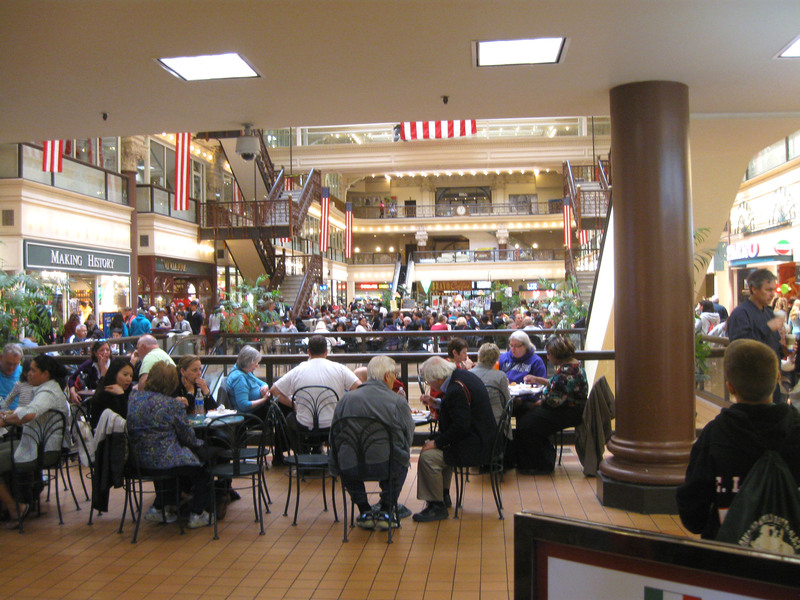 I discussed my family’s trip to Pennsylvania in an earlier post. I also mentioned the trip our family took in 2010 from the Rock and Roll Hall of Fame in Cleveland, Ohio, through Pennsylvania, and down to Washington, D.C. The special exhibit at the Hall of Fame that year was a Bruce Springsteen exhibit. Fast forward to the convention trip to the Constitution Center. I ate most of half of my sandwich (the “real” pastrami – as opposed to the turkey pastrami you get in Dallas – was a welcome treat) and wrapped up the remaining half in my bag. I wanted to get to the museum in order to have as much time to wander around the museum as possible. It is the 225th anniversary of the signing of the Constitution this year. I was walking through the mall taking pictures when I came close enough to clearly read the banner hanging above the entrance. There was a special exhibit at the time and it was – you guessed it – a Bruce Springsteen exhibit (it was, in fact, the same exhibit). Now the Rock and Roll Hall of Fame I completely understand, but the National Constitution Center? Come to find out that they had put a different twist on the exhibit and were demonstrating Springsteen’s “use of music as a tool to express his First Amendment Rights.” Which makes sense. But here is the “kicker” as they say. 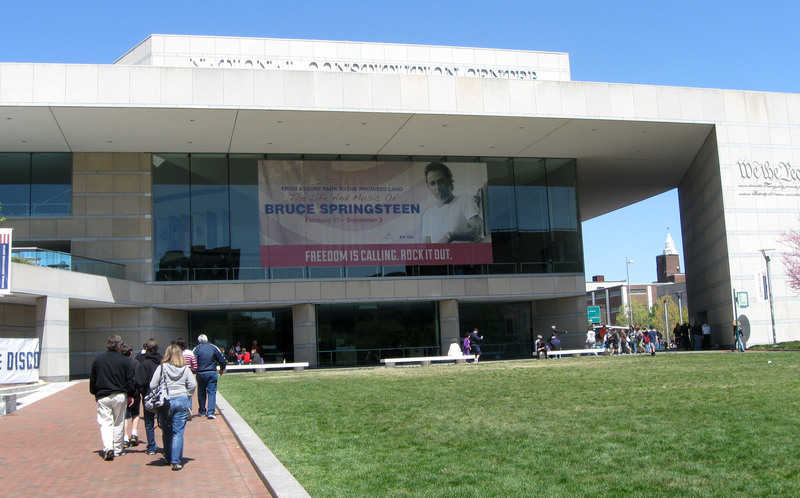 The National Constitution Center is the first and only venue where the Springsteen exhibit is to travel from the Hall of Fame. What are the odds that I would be at both venues at the time of the exhibit? The museum program, however, entitled “Freedom Rising” was very entertaining. The narrator stood in center of the circular theater swathed in lights and sound, with slides running around the upper part of the theater. The presentation told the story of the beginning of our country and government. Although the presentation was a little louder than absolutely necessary, the narrator’s voice was uniquely appropriate for the material. While I had little time to explore the museum, I did discover that the museum is remarkably interactive. Unfortunately, the crowds of school children and families made listening to the recordings difficult and required constant movement – leaving little time to absorb the information. But I certainly plan to make an effort to return and further explore the National Constitution Center and other fine museums in Philadelphia. 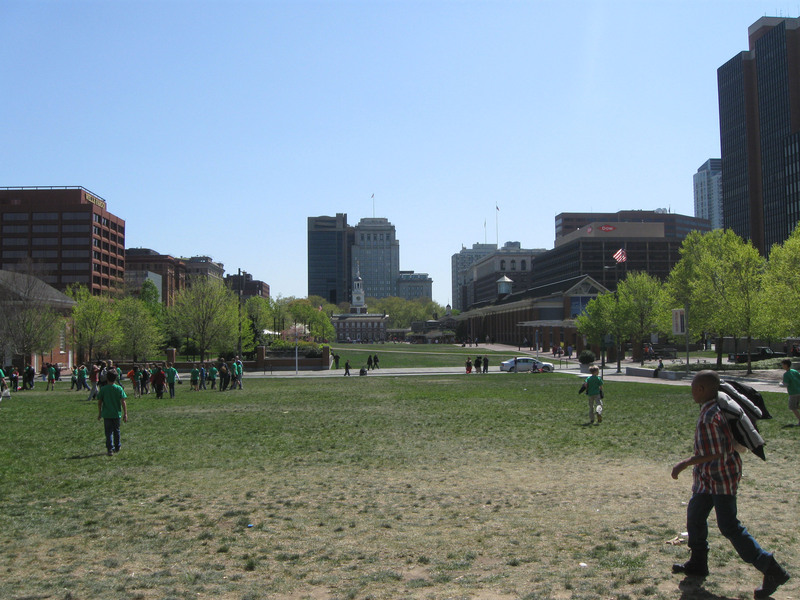 Independence Hall and the Liberty Bell are a short walk from the NCC. Back to the odds of my being at both displays of the Bruce Springsteen exhibit. I agree with Albert Einstein that “coincidence is God’s way of remaining anonymous.” But then there is the thought that everything happens for a reason. Sometimes, though, there just does not seem to be a reason. So I put it to you – what do you think? Is there always a reason behind everything? When there does not seem to be a reason are we simply unable to discern it? Are there such things as coincidences and happenstance occurrences?